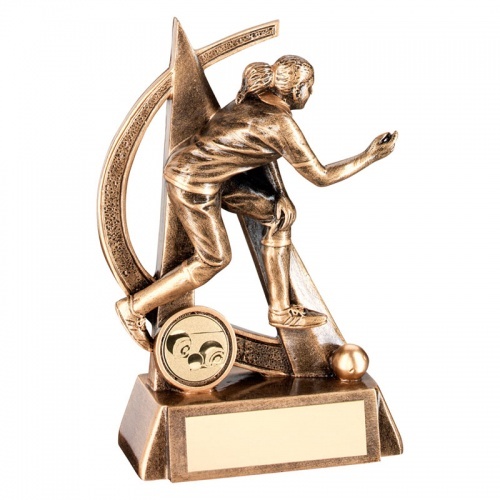 These attractive lawn bowls awards trophies feature a figure of a lady bowler with bowls set on a bevelled base with engraving plaque. Made in durable resin, they have a stylish bronze and gold finish and stand 6.5in (165mm) tall. We offer low cost text engraving of the base plaque, allowing you to create custom engraved trophies for your crown green bowling or flat green bowling event.